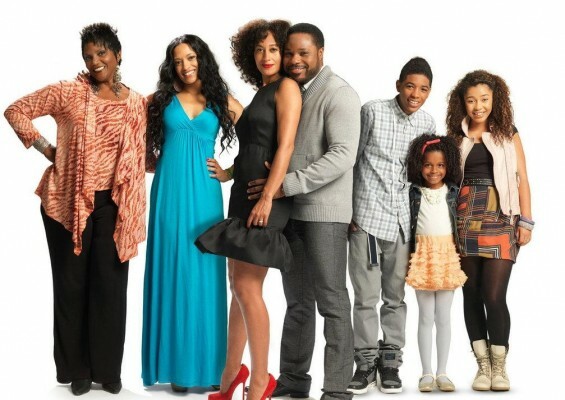 Performers include: Tracee Ellis Ross, Malcolm-Jamal Warner, Melissa De Sousa, Nadji A. Jeter, Zoë Soul, Zoé Hendrix, Anna Maria Horsford, Charles Robinson, Tony Rock, and Michole Briana White. A blended family sitcom, this TV show follows a modern, upwardly mobile Black couple who is raising their kids in New Rochelle, New York. Doctor Carla Reed (Tracee Ellis Ross) is a psychologist who has to juggle her roles as doctor, wife, and mother. Her husband, Doctor Alex Reed (Malcolm-Jamal Warner), is an English Professor who teaches NYU students online and home schools their young daughter, Alexis (Zoe Hendriks). The bickering teenage twins, Keenan (Naji Jeeter) and Kaci (Zoe Soul) are Carla’s children from a previous marriage. Keenan is a typical teenager who likes music, hanging out with friends, and teasing his sisters. Meanwhile, Kaci is sensitive, emotional, and overly dramatic. She knows that Keenan deliberately tries to push her buttons, but somehow she can’t resist responding. Ms. Helen Wilson (Anna Maria Horsford) is Carla’s witty and opinionated secretary. Acupuncturist Gabriella Jiminez (Melissa de Sousa) is Carla’s close friend and office suite-mate. Later, Alex becomes head of the English department at New Rochelle University and Carla pursues her dream job in Los Angeles (Ross left the series). Alex’s father Monroe (Charles Robinson) and friends Julius Darren (Tony Rock) and Simone Winters (Michele White) lend their help in raising the kids who stay behind with Alex. Kaci has a hard time because Alex and her mom are getting divorced. What do you think? Do you like the Reed Between the Lines TV show? Do you think it should have been cancelled or renewed for a third season?